It’s not an easy thing to stop foreclosure in Englewood, but it’s possible to stop, even after your lender serves you the notice. Colorado is both a judicial and non-judicial foreclosure state, which means your lender may or may not need a court to proceed with foreclosure. The bank will have the power to proceed with a foreclosure as long as it sends you a number of notices as required by the law and subsequently publishes the same in a local newspaper. This will, on most occasions, occur where the agreement included a power of sale clause. With a power of sale clause, the owner of the house will be able to authorize the selling of the house in order to pay off the remaining amount of money needed to clear the mortgage. Compared to when the case goes through a court, the options to stop foreclosure Englewood are not as apparent, but still, the homeowner has a number of options on the table. The first option to try to stop foreclosure in Englewood is to apply for a loan modification. Basically, this is where you can talk your lender into restructuring the terms of agreement of a mortgage loan so that the payments are more affordable to you, the homeowner. The federal law demands that any bank or lender stop foreclosure after a homeowner applies for a loan modification. Many banks have a policy to put on hold the foreclosure sale while a loan modification application is under review. What many homeowners commonly misunderstand is that by submitting a loan modification application, the foreclosure sale has successfully been stopped. When you submit a loan modification well in advance before your lender issues a notice of intent, it’s possible that you will be able to stop foreclosure Englewood. However, a bank may still be able to proceed with the foreclosure sale if it receives the loan modification request close to the scheduled foreclosure sale. There may also be cases where staff simply forgets to stop the foreclosure sale even after informing the owner they will do so. In short, when you apply for a loan modification, remember to confirm with the bank on the status of the foreclosure – and try to make sure you get this in writing. Keep the situation closely monitored so that you don’t end up with a scheduled foreclosure sale without your knowledge. Another option to stop foreclosure Englewood is to file for bankruptcy. With this move, you will have an automatic stay put on all creditors’ actions, which include foreclosure. One thing you need to understand about filing for bankruptcy as a means of stopping foreclosure is that it only works to give you some time to work on the pending problem and it doesn’t completely solve the problem. What a bankruptcy claim does is that it prevents your lender from proceeding with the foreclosure sale for the period stipulated in the claim. Once this period expires, your lender can proceed with the foreclosure process, which will leave you without a home as well as a black mark on your credit score. In order to be on the safest side, you need to hire a bankruptcy attorney to help you decide whether your specific case is suitable for filing for a bankruptcy. Since foreclosure is an urgent matter, it requires immediate action. In this regard, there’s no better way to stop foreclosure Englewood than selling the house in question to a company that buys houses for cash here in Englewood. 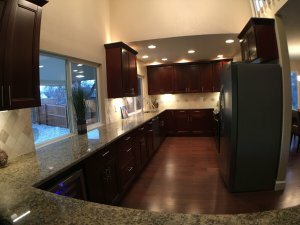 There are so many such companies in the local market, but you have the best one in Denver Property Flip. At Denver Property Flip, you will sell your house fast and be paid after just 5 days. Yes, you read it right! It’ll only take 5 days to get your money ready, but this will happen only if we can agree on a price for your house, even if it means now. Call us on (720) 370-9595 and we’ll make you an all-cash offer within 24 hours.